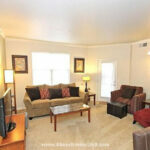 Your Almost Home Davenport furnished apartments are spacious 1, 2 and 3 bedroom homes. 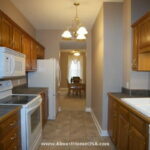 Many of our apartments have linen closets, pantries, 9 foot ceilings . . . Almost Home’s Davenport furnished apartments have modern kitchens with black or stainless appliances, private washer/dryer, large linen closets, private patio/balcony, ground-level private entry, laminate flooring . . . Your Almost Home Davenport corporate housing is conveniently located in the Downtown area. This property features a 665 square foot rooftop deck, free fitness center, . . .
We serve the entire Cedar Rapids area including Bettendorf, Rock Island, East Moline, Coal Valley, Eldridge. Davenport has just about 100,000 residents who populate this Mississippi River town. It has all the conveniences of a big city yet has the charm of a small town. It is a young city and with a median age of 35 years compared to Iowa’s median of 43 years. The city is highly accessible from every corner, so whether your Almost Home Davenport corporate housing is located in the north or south part of the city; it should not matter what you can see and do. Davenport is one of the five cities that make up the Quad Cities on the Mississippi River. On the Iowa side, besides Davenport, is Bettendorf. On the Illinois side of the river is Rock Island, Moline and East Moline. Although they cross state lines the five cities are inextricably linked in terms of economics and demographics. Davenport itself is home to a manufacturing industry with employers such as John Deere, whose headquarters, while in Moline, has a plant in Davenport. Such flourishing industry makes Davenport corporate apartments a likely choice for many relocation needs. Stepping out of your Davenport furnished apartment will greet with a wide variety of climates throughout the year. Summers can be warm and humid while it cools down in the fall and gets cold in the winter. In the summer the humidity levels are high and winters have high winds. It mostly snows between late October into February. Dress warm for winters which usually bring snow and drifts. In the summer there can be lots of rain and flooding. Bring a rain coat and an umbrella if you're here in the summer. Davenport is surrounded by major roads that make transportation in and out fairly efficient. I-80 cuts through the northern tip of the city connecting Chicago to the east and Des Moines to the west. Both are approximately 3 hours away. I-74 branches from I-80 east of Davenport and heads southeast to Peoria. Within the city, N Brady St. bisects the city between the west side and the east. Don't let the size of this town to fool you into thinking that there isn't anything you can do while you're here. There is a lot more to do than just hanging out in Davenport temporary housing. Here is a short list of things you may like. Museums: Working or developing a new market in a new town is not the easiest things to do. But one good way of doing it is to understand the town from its historical perspective and its roots. Best way to do that is to take in as many museums as you can. In Davenport, start off with the Putnam Museum. Here you will find a lot of historical information about the city and about the world in general. It's a great way to change your perspective on a lot of things. Another place to head to is the German American Heritage Center, where the experiences of the immigrants in the city are shared through displays and stories. It is a way to understand the roots of the city and the life of the town. There is also the Figge Museum of Art which has some fine exhibitions of art and culture. The galleries offer insight into a lot of history in Davenport and around the country. Performing Arts Center: Understanding a culture can be done in various ways, from conversations, from history, from performances. The River Music Experience is one such journey through the American immigrant experience. But it’s not just that, there are a lot of other culturally significant shows on display here as well which can be enjoyed purely for its entertainment value. Another place to visit is the Adler Theater that features a lot of the Broadway hits. The theater is acoustically brilliant and the sounds come through magnificently. Malls: The major mall in Davenport is the Northpark Mall. The other is the west Kimberly Mall. Here you will find all the local vendors. More than a hundred of them displaying everything from antiques to chocolate chip cookies. The beauty of this place is that its warmth and friendly atmosphere. It’s a great place to hang out and even grab a bite to eat. Parks and Recreation: All the parks and recreation in Davenport are run by the City's administration. The City of Davenport Parks & Recreation has a lot to offer everyone, from golf courses to nature and garden programs. There is even a Botanical Park that was established almost 130 years ago. It sites on a 33-acre park. In the summer, there are aquatic centers like the Dohse Pool and the Fejervary Family Aquatic Center. Credit Island: This is a great place to visit while you are in Davenport and perhaps even play a round of golf on the island's public golf course. The island sits on the Mississippi River just off of Davenport, within the Quad Cities area. The island used to be an old trading post. Besides the 9-hole golf course, Credit Island also has a playground, a boat launch, picnic areas, trails and places to just hang out and enjoy the weather. Once you've spent some time here in Davenport, you will find that it is a great place to get recharged while you get some work done. It is a vibrant city and the population is pretty young so you will see a lot of life on the streets on the weekends and around town as you go about your business. 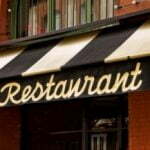 The best places to eat in Davenport are not immediately obvious to newcomers, so we’ve put together a list of restaurants to help you sample . . .